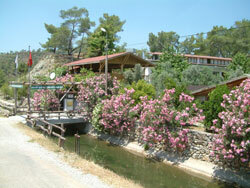 fethiye, the paradical region and the pearl of the Mediterranean, has 71 villages. The Kargı Village is one of them, renowned for its oranges, tangerines, tomatoes, peppers, aubergines, olives, honey and the fish. Furthermore, the Akmaz beach does not exceed the height of a man even if you wade in 50 meters and the golden sand of the Karataş Beach is quite famous. Our village has gained fame with the citrus trees, ample sources of water and with its grenery, where most of the population are farmers. There is a 6 km. coastline where the sands are gold in colour. Also, there is a canyon of l.5 km. 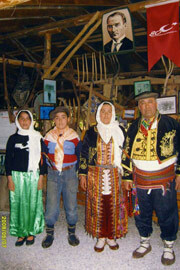 at our village, similar to Saklıkent. Our village is not clumped with concrete buildings. On the contrary, it is in natural surroundings with lots of orchards and a clearn sea.